While I did not speak with an admissions counselor at the University, I strongly suspect that the reason he was not accepted is because he did not ‘demonstrate interest’ in the University in ways measurable by the admissions office. The most powerful way to demonstrate interest in a college, in my opinion, is to apply Early Decision – you are in effect saying “I choose your college over every other college” when you apply ED, and are committing to attend the college if you are accepted. If you are certain that the college is ‘the one’, then go ahead and apply ED. Since you are likely applying to more than one college though, you may want to demonstrate interest in other ways. Visiting the campus (if financially feasible) is probably the next best way to demonstrate interest – more than once (e.g., Junior and Senior years of high school) if possible. Which Colleges Use Demonstrated Interest? You should look through the rest of the information available in the Common Data Set for colleges of interest – also often reported is the elusive GPA in sections C11 and C12. Use a website such as collegedata.com. 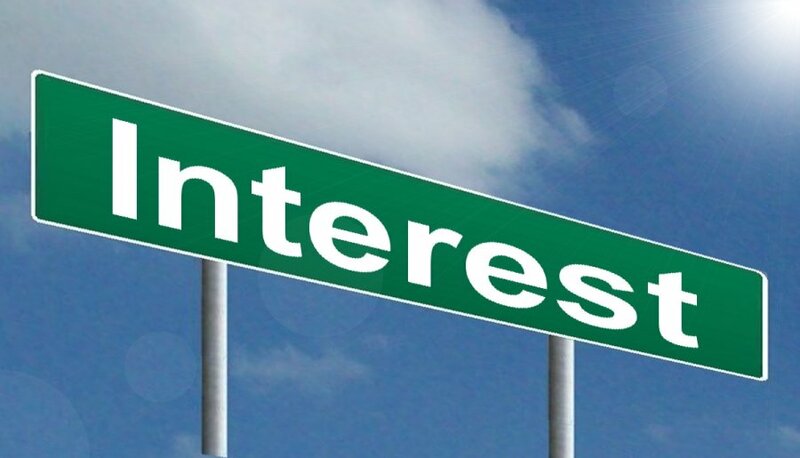 Why is Demonstrated Interest important? 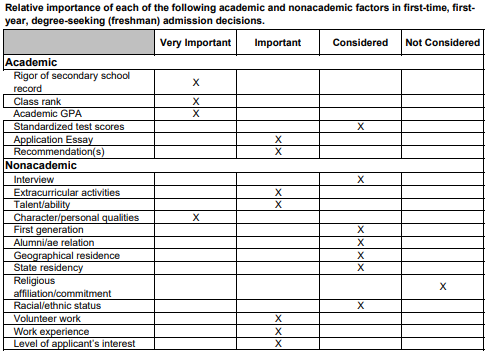 According to annual surveys of admissions directors conducted by the National Association for College Admission Counseling, demonstrated interest is more important on average than teacher recommendation letters and extracurricular activities…yet, it has absolutely nothing to do with your academic abilities or potential – how can that be? Put yourself in an admissions counselor’s shoes. Colleges usually have more qualified applicants than they can possibly admit, so if everything else is about equal, they will look to admit students who have taken the time to get to know the college – students who have shown in measurable ways that they are interested in and have invested time learning more about the college. At the end of the day, admissions counselors want the same thing as students, parents, and high school counselors – they want to admit students who will be successful and satisfied, and students who demonstrate interest are simply a safer bet than someone who did not take the time to demonstrate interest – someone who may or may not accept an offer of admission, let alone actually attend. Relatedly, don’t think about demonstrated interest as something else you have to do to get into college. Visiting the campus, exploring the college’s website and social media, talking with admissions counselors, students, and alumni, and explaining in an essay why the college is right for you are all ways to increase your knowledge about the college, which will help you in making a more informed decision!